Individuals who have given thought to pursuing a career in the field of healthcare administration or management may at some point have asked themselves, “What does a nursing administrator do?” By reading the data found below, you can obtain a basic answer to this question as well as several others that pertain to the field of nursing administration. play a role in the policy-making process. Promoting nursing staff development through relevant training, procedures, etc. 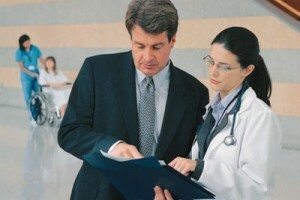 Typically, a nurse administrator works within a hospital environment. However, individuals who hold this position can also work in long-term care units as well as other types of larger care centers. As a result of technological advancements, nurses may also be able to work from home periodically. According to Indeed, a nursing administrator can expect to earn about $68,000 annually. However, the annual salary that an individual can earn will be contingent upon a plethora of factors, some of which can include level of education, experience, area of expertise, and location. For example, a nursing administrator who works in California may earn $73,000 annually. However, an individual who held the same position in Georgia might earn $78,000. According to the U.S. Bureau of Labor Statistics, medical and health services managers can expect to earn about $88,580 per year. If you have given any thought to obtaining a position within the field of healthcare management, you should note that working as a nursing administrator can help you accomplish this objective. Now that you have a basic answer to the question “What does a nursing administrator do?,” you can decide whether this would be an appropriate career path for you to pursue.